We’re pleased to advise you that DomaCom has recently reached the settlement on what we believe to be Australia’s first crowdfunded farm. 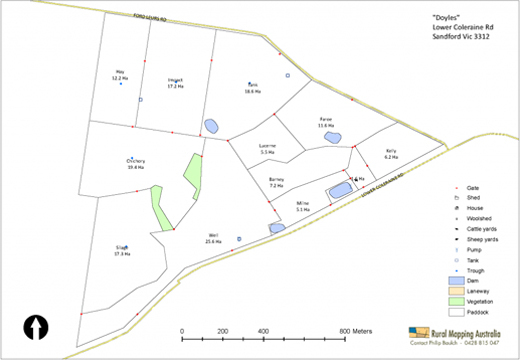 “Doyles” is a beef cattle property in Victoria’s Western District which sits in a sub-fund of the DomaCom Fund for its 92 investors. Approx. 5% to 6% capital growth (as detailed in the Rural Bank Report on median Farmland Values in Australia*). We are now on the lookout for other suitable rural properties to acquire. If you have clients that are interested in helping keep rural properties in Australian hands, or would like to benefit from the diversification that rural property offers, they may want to consider joining our next crowdfunded farm. Please visit our Rural Property Strategy page for more information. In another exciting development for DomaCom, we recently completed our first fractional property transaction through managed accounts provider, Managed Accounts Holdings. This transaction was carried out for one of our AFSLs, a Sydney-based advisory group, Benwest Investment Services. DomaCom’s CEO, Arthur Naoumidis, said this had proved that the fractional property model worked in a managed account structure. “As a result, we will be able to introduce managedaccounts.com.au to the 42 AFSLs who have put the DomaCom Fund on their APL and to a similar number who have DomaCom on their radar to use,” he said. According to managedaccounts.com.au chief executive, David Heather, the transaction also proved that there was an increased demand from advisory firms, particularly those working with the self-managed super funds (SMSFs), to include direct property exposure into the company’s offering. “Until the DomaCom model, the direct property was something that had to be implemented external to the managed account solution and as a whole asset purchase which invariably involved debt,” he said. We’re also excited to report that DFS Portfolio Solutions, a specialist asset allocator and separately managed accounts (SMA) model manager, has also signed a Heads of Agreement with us which would see the DomaCom Fund being added to its platform. According to DFS Portfolio Solutions (DFS), it is expecting to initially allocate around $25 million to the DomaCom Fund, with possible further allocations to take place later in the year. DFS would also use a direct property as an additional diversifying asset class across its model portfolios and further use the DomaCom Fund to deliver direct property investments. DFS principal and head of research, Stephen Romic, said that the company would initially seek commercial, industrial and retail property to deliver a higher yielding asset class and that it was already looking for suitable property advisers to source appropriate real assets for the offering. DFS is an Australian model manager for IMA/SMA platforms and delivers its models to DFS Advisory Services as well as external boutique advisory firms. Commenting on this recent deal, Arthur Naoumidis, said: “This is another first for our group and demonstrates that direct property can be included in an investment portfolio as part of an overall asset allocation strategy by investment model managers”. It has been a very busy first few months for the DomaCom team. In the product development space, we’re excited with ASIC’s latest approval for us to extend our crowdfunding model to securities, which means we can now offer fractional investment in Corporate Bonds as well as a peer-to-peer sub-fund lending facility. “The varied AFS licence will allow us to offer peer-to-peer lending sub-funds and a fractional investment model for corporate bonds, with work well underway to issue a new Product Disclosure Statement to support these new products,” Arthur Naoumidis said. Stay tuned for more information on the lending facility the near future. The premier awards night for the Fintech industry, the Fintech Business Awards is dedicated to celebrating the accomplishments of the disruptive businesses and innovators reshaping the way Australians access financial services. Over 300 nominations were received for the 18 awards, with the winners selected by a panel of expert judges from a pool of 125 finalists. 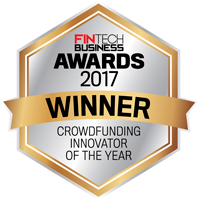 We’re very pleased to report DomaCom won the category of “Crowdfunding Innovator of the Year”. And we congratulate all our fellow winners in their category for their efforts in bringing innovative solutions to the industry. DomaCom recently began working with Prodigy Network (Prodigy), the largest crowdfunding in the USA, to introduce investors seeking a more global allocation to property. Prodigy specialises in acquiring and developing high-quality property for the short-stay/co-working market in lower Manhattan, New York City, USA. An exciting opportunity has emerged for sophisticated Australian investors to invest in a slice of prime commercial real estate in Manhattan and benefit from developer-type returns. If you have clients that may be interested, please our The Assemblage, Park Avenue South, NYC page under Public Crowdfunding Campaigns > International Investments section of our website. DomaCom recently attended the Melbourne Property Buyers Expo, an event for retail investors. The response was very encouraging for DomaCom and demonstrated the still strong interest in property investment. DomaCom also presented the fractional model to AIST Member Funds at the recent AIST’s 2017 CMSF Conference in the Gold Coast. Many great conversations took place during this conference and we look forward to continuing our discussions with a number of interested parties within the industry funds network. And finally, DomaCom is currently attending the 2017 AIOFP Off-Shore Conference to present our new equity crowdfunding opportunities. We hope to see some of you there. Here are some of our latest media coverages, but for the full list, please visit In the Media section of our website. DISCLAIMER: DomaCom Australia Ltd ACN 153 951 770 is the holder of an Australian Financial Services Licence (AFSL) 444365 and is authorised to provide general financial product advice, to deal in certain financial products and to make a market in units in sub funds of the DomaCom Fund ARSN 167 020 626. Whilst DomaCom has taken all reasonable care to produce the information in this material, it does not make any representations in respect of, or warrant the accuracy, timeliness or completeness of any of the information. The information provided in this material is general information only. It does not constitute financial, tax or legal advice or a forecast. This information has been prepared without taking into account your personal objectives, financial situation or personal needs. Before acting on the information or deciding whether to acquire or hold a financial product, you should consider its appropriateness. It is recommended before making any investment decision, that you seek independent financial advice and read the relevant Product Disclosure Statement (PDS) and any Supplementary Product Disclosure Statement (SPDS) available on the DomaCom Ltd website, www.domacom.com.au or by phoning 1300 365 930.